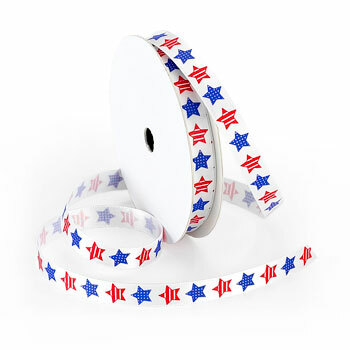 Our "Betsy Ross" Satin ribbon is just the perfect size for patriotic scrapbook accents, theme pages, accessories and crafts. With alternating stars patterned in blue and red on white satin background, Betsy Ross herself would be proud of our patriotic detail! Add some stars and stripes to accent your holiday, event or occasion.